I have this theory that any outfit is complete with something as simple as one statement. For spring, my favourite way to make that statement is with a skirt. It's the easiest thing to throw on and go. Pair with a white tee, a grey tee or a tied button down shirt and you're good to go for a day out and about. Now, about choosing that statement skirt. Well, the world's your oyster. Go bold or go home. Fancy floral? Go for it. Strike up a stripe? Make it happen. Maxi or mini? Bare as much as you dare. 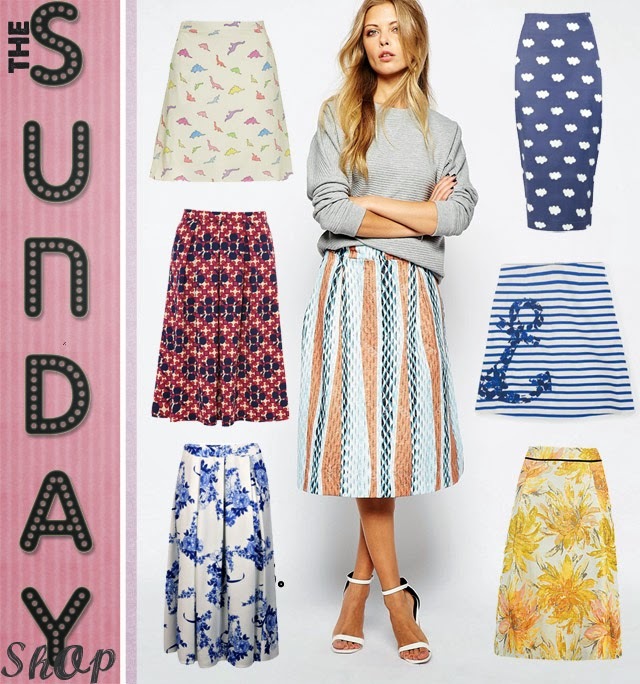 Here are a few of my favourite statement skirts for the season, all coming in at under £50. Let's be honest. Fashion is fun, but let's not go breaking the bank here, folks.